We’ve also added more than 100 new products as well as our new product line of Flow Waterjet and H20 Waterjet compatible parts and our catalog of WSI Waterjet Parts for KMT Waterjet Equipment. 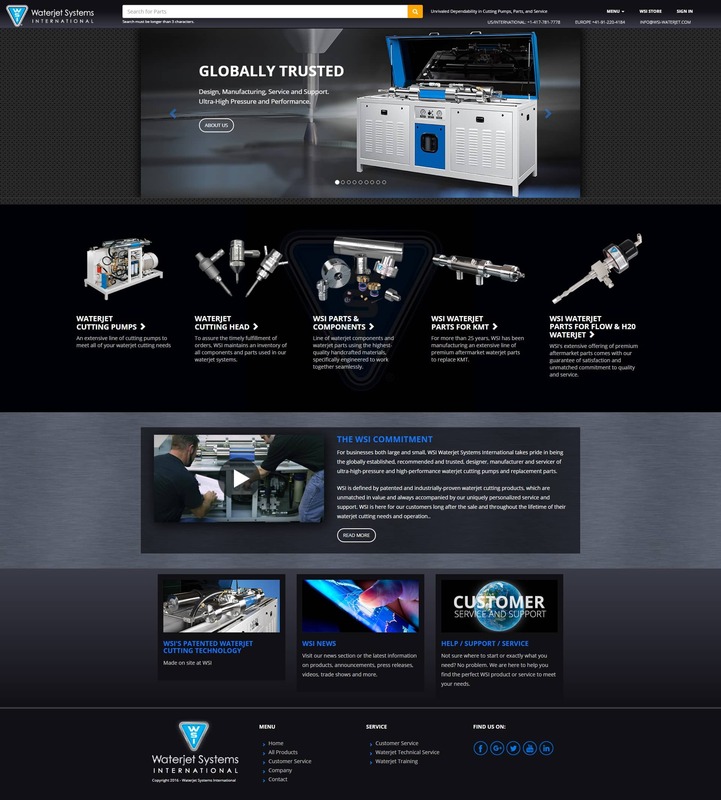 With dynamic new graphics, it’s never been easier to find what you need from our entire catalog of ultra-high-pressure and high-performance waterjet cutting pumps and replacement parts. For businesses both large and small, WSI Waterjet Systems International takes pride in being the globally established, recommended and trusted, designer, manufacturer and servicer of ultra-high-pressure and high-performance waterjet cutting pumps and replacement parts. WSI is defined by patented and industrially-proven waterjet cutting products, which are unmatched in value and always accompanied by our uniquely personalized service and support. WSI is here for our customers long after the sale and throughout the lifetime of their waterjet cutting needs and operation. No matter the size or location of your business, WSI Waterjet Systems International is here to help you find the ultra-high pressure and performance waterjet cutting pumps, parts and accessories to best fit your needs. We can also work with you to create a variety of waterjet cutting solutions designed to meet your individual cutting preferences.